Many of us have exciting goals and plans for the year to come. 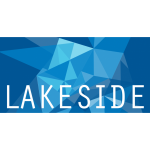 At Lakeside, we, too, are excited about what lies ahead for us in 2018. Here are six reasons why: Click here to read more.